Mark Schenker, Ph.D. has been a licensed psychologist for over 30 years, and has spent the majority of his career in the addiction treatment field. He began in the mental health arena in 1972, as an aide at McLean Hospital in Belmont, MA. He became intrigued by the complexities of the patients he encountered, and ultimately pursued a Ph.D. in Clinical Psychology from Temple University in Philadelphia. Over the years he has provided direct clinical service, created and managed innovative programs, supervised psychologists and psychiatric residents, and trained mental health clinicians on a national level. In addition to his clinical and teaching positions, he has been a strong advocate for the inclusion of addiction treatment into the mainstream of mental health practice and training. He is passionate about enhancing the ability of psychologists and other mental health professionals to recognize, assess and treat the addictive disorders which are ubiquitous in our society. In this context, he has served as the Member-At-Large for Practice, on the Board of the Society of Addiction Psychology, working toward the integration of psychology and addiction treatment. Dr. Schenker is the author of A Clinician’s Guide To Twelve-Step Recovery(W.W. Norton, 2009) as well as various papers and chapters on related subjects. 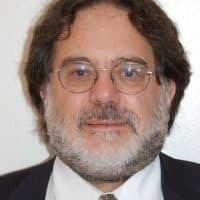 He currently oversees psychological services at Caron Treatment Centers, a noted addiction rehabilitation center, and maintains a private practice in psychology in Philadelphia, PA.